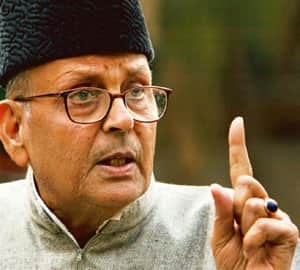 New Delhi: Former prime minister V.P. Singh, who dethroned Rajiv Gandhi to form, in 1989, India’s second non-Congress coalition government and later tried social engineering through reservations that changed the country’s political course irreversibly, died in the Capital on Thursday. The 77-year-old leader, who had been battling blood cancer for more than 17 years, and renal failure, died in the city’s Apollo Hospital where he was admitted nearly six months ago. When Gandhi couldn’t deliver on the promise on which he had come to power—a clean government—Singh cashed in on the opportunity. He began to project himself as “Mr Clean". Raids against companies intensified, complaints were made in the right quarters, and Singh was shifted to the defence ministry. But he wasn’t finished yet. He began to investigate the murky world of arms deals. As stories of kickbacks from the now-famous Bofors deals began to spread, and damage the reputation of Gandhi, Singh was sacked. By then, however, Singh had discovered a way out: coalitions. He resigned from the Lok Sabha and spent the next few years building the Janata Dal—a coalition of non-BJP, non-Congress parties. In 1989, he fought the general election on this platform. He forged an alliance with the Communist parties and struck an understanding with the Bharatiya Janata Party. And he became the 10th prime minister of India. He held the post for less than a year but triggered the trend of coalition politics which continues till today. Singh’s major achievement was the implementation of the Mandal Commission’s recommendations that ensured reservation to students from backward communities in education and public sector jobs. Taking a leaf straight out of the Dravida Munnetra Kazhagam’s experiments in Tamil Nadu, he implemented a reservation policy that divided north India vertically. A Delhi University student Rajiv Goswami was so enraged by Singh’s decision that he set himself on fire in front of a huge supportive crowd. And India went up in flames. Some analysts say Singh’s efforts to implement the findings of the Mandal Commission were an attempt to check the rise of Devi Lal, a rustic Jat leader from Haryana who, too, nursed the ambition of becoming prime minister of India. Singh also continued to be blamed for bowing to terrorists who had kidnapped Rubaiya Sayeed, the daughter of his home minister Mufti Mohammed Sayeed. The release was a turning point in the history of terrorism in Jammu and Kashmir. Singh, an erudite man with a fondness for poetry and painting, wasn’t the same force after he quit as prime minister. His frail health didn’t help his cause, but history will remember him as the man who managed to polarize India, although his efforts—aimed at creating a level playing field for people belonging to the backward classes—might have been well-intentioned. Singh is survived by his wife Sita Singh and two sons, Ajeya and Abhay.